The safest drum lifter available. 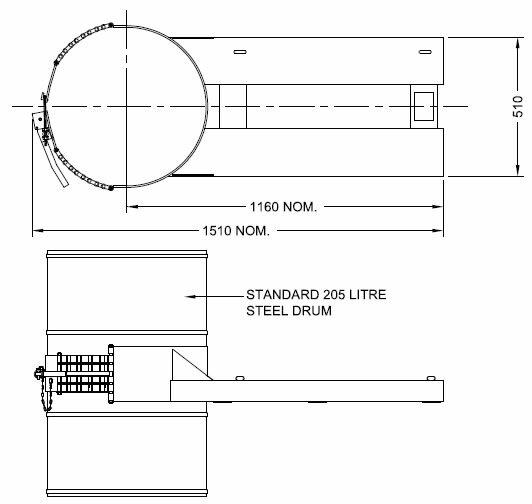 This attachment ensures 205L steel drums are moved with 100% security. The drum is quickly clamped via eccentric lock. A further safety catch prevents accidental release.